Etibar Elchyev from Georgia wants to proof that human magnetism is not a Hollywood spoof. Under the watchful eye of the Georgian Guinness Book of Records Commission, the former kick-boxing coach balanced metal spoons on his body. 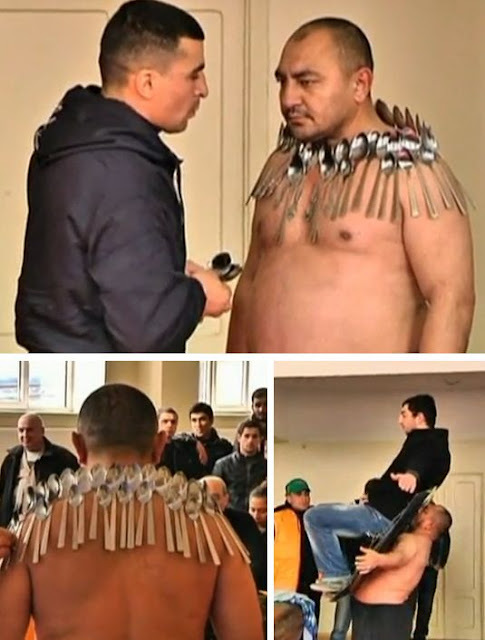 In his bid to set a new world record Elchyev balanced a staggering 50 spoons around his neck and chest, shattering the old record of 27. And to show that his magnetic quality is not limited to just spoons, the 39-year-old balanced something much heavier - a man seated on a car bonnet, on his chest, for almost 27 seconds. Elchyev claims that he discovered his talent less than a year ago. The record challenger has to wait though, for the conformation of the results from the International Commission of The Guinness Book of Records.